This casino comes with its very own persona - Super Lenny. He is cool, suave, sophisticated, and enigmatic. But who is he? That’s the question. He’s someone that knows how to craft an online casino, that’s who. The James Bond-esque style to SuperLenny Casino will appeal to those players looking to steer away from bright colours and a fun attitude, and feel slick and smart when they play online games. 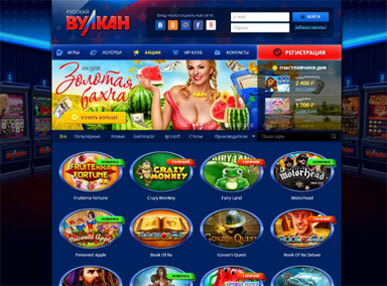 As well as a casino, the site functions as a sportsbook for those who want to cash in on their favourite teams. There are around 600 games from a variety of softwares, the welcome bonus is more attractive than most, and the payouts are fast. Let’s take a more detailed look. One of the major draws of SuperLenny Casino is its 450 slots that come from all of the classic casino developers like Net Entertainment, Microgaming, and IGT plus others. New players and regulars will find everything they need here, from the most popular to the hidden gems for a fun gaming experience. Go old school in style with classic table games like Blackjack, Roulette, and Baccarat, as well as video poker. 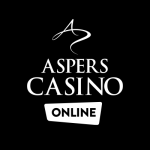 For a more personal touch, log in to the live dealers for a more adrenaline-packed, real time experience. Sports fans can place bets on their favourite teams in football, volley, and basketball, as well as others, setting SuperLenny Casino slightly apart from most online casinos. One of the most attractive parts of SuperLenny Casino has got to be its welcome bonus, which requires no deposit. Unlike most online casinos, Super Lenny requires no deposit or wager for your free spins. Super Lenny gets that sometimes you just want to dip your toe in the water, so the free spins are just that, no strings attached. If you decide to put down some money, a deposit of €50 will get you 50 more free spins, and 100% match up to €100. The minimum amount required to trigger a bonus is just €20. The cash side of SuperLenny Casino is pretty straightforward, fast, secure, and efficient. Of course, Super Lenny wouldn’t want it any other way. The minimum withdrawal amount is a reasonable €20, with no maximum, and you can choose from credit or debit cards, trustly, Neteller, Skrill, Sofort, iDeal, Paysafecard and bank transfers, which are all safe and trusted options. Payments are made within a speedy 24 hours, and Neteller is usually the fastest and most efficient out of these options. From the little we know about Super Lenny - that he’s a reindeer with a love of sports and casinos and is super suave - there’s enough to draw you in and keep you hanging around. 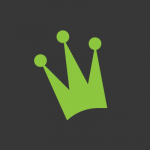 The website has a simple and easy to use layout and has the added bonus of functioning as a sportsbook for sports fans. The free spins with no deposit required are a rare and welcome sight, and there are more than enough games to keep you happy. Payout is secure and fast. SuperLenny Casino is one to watch, as well as tell your friends about. What more could you want?